Michael Mandiberg is a interdisciplinary artist, designer and scholar whose work employs each of these methodologies, in part to investigate the significance of their overlap. He creates conceptual art projects, design objects, and publications that explore themes that include environmentalism, systems of exchange, pedagogy, software art, collaboration, Free Culture, and appropriation. 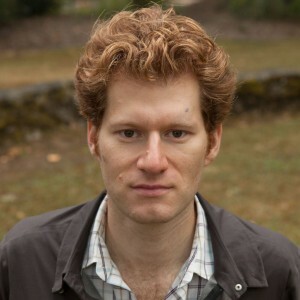 He sold all of his possessions online on Shop Mandiberg, made perfect copies of copies on AfterSherrieLevine.com, and created Firefox plugins that highlight the real environmental costs of a global economy on TheRealCosts.com. He is co-author of Digital Foundations and Collaborative Futures, and editor of The Social Media Reader. A recipient of residencies and commissions from Eyebeam, Rhizome.org, and Turbulence.org, his work has been exhibited at the New Museum, Ars Electronica, ZKM, and Transmediale. A former Senior Fellow at Eyebeam, he is currently Associate Professor at the College of Staten Island/CUNY and a member of the Doctoral Faculty at the CUNY Graduate Center. He lives in, and rides his bicycle around, Brooklyn. His work lives at Mandiberg.com.